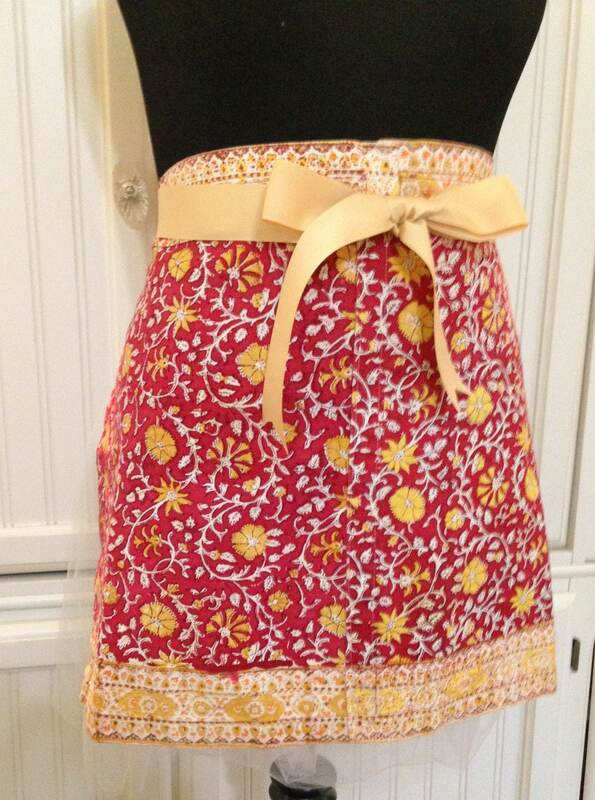 Womens half apron. 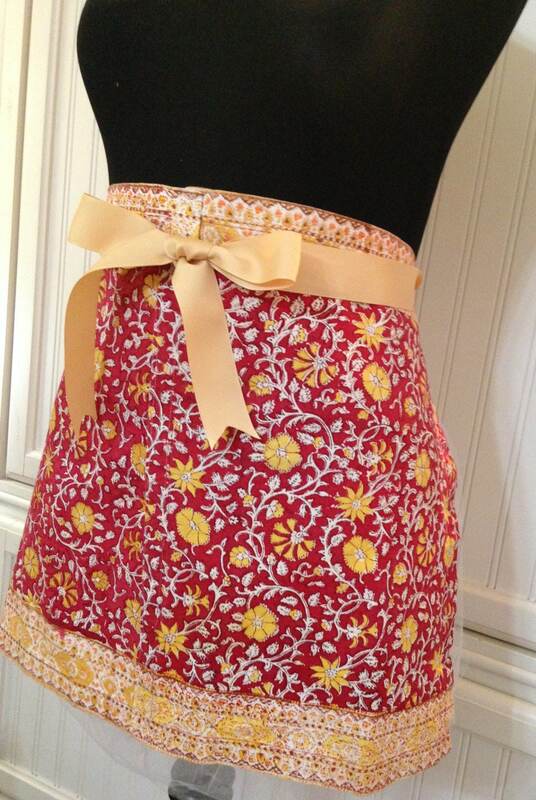 Repurposed placemats make excellent aprons. 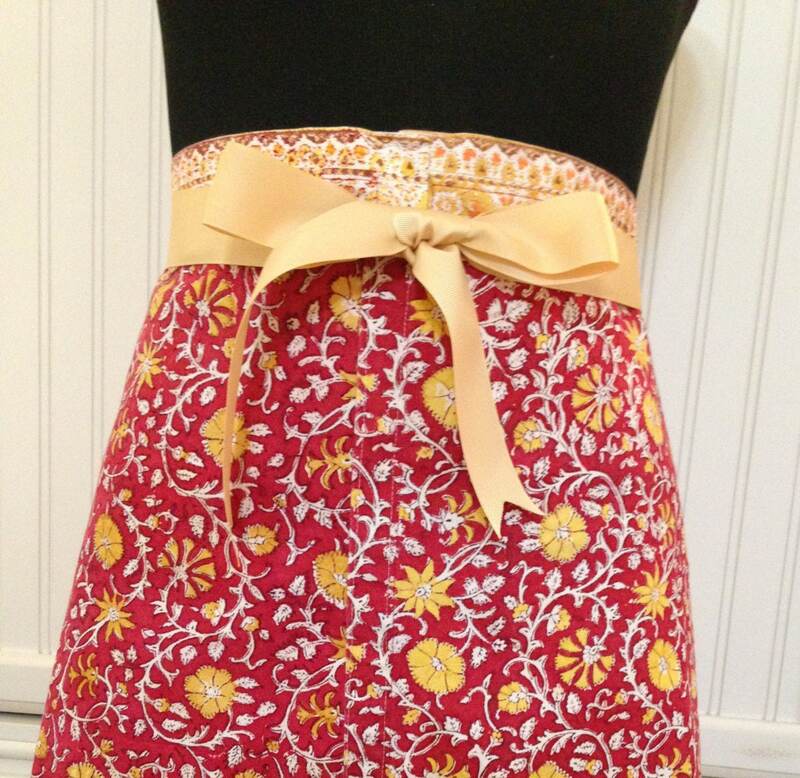 This apron is beautiful made from 100% cotton place mats in a cheery red and gold print with gold grosgrain ribbon ties. The ties are extra long to tie in back or front as pictured. Perfect for wear while hosting a coffee clutch or fixing Sunday brunch. 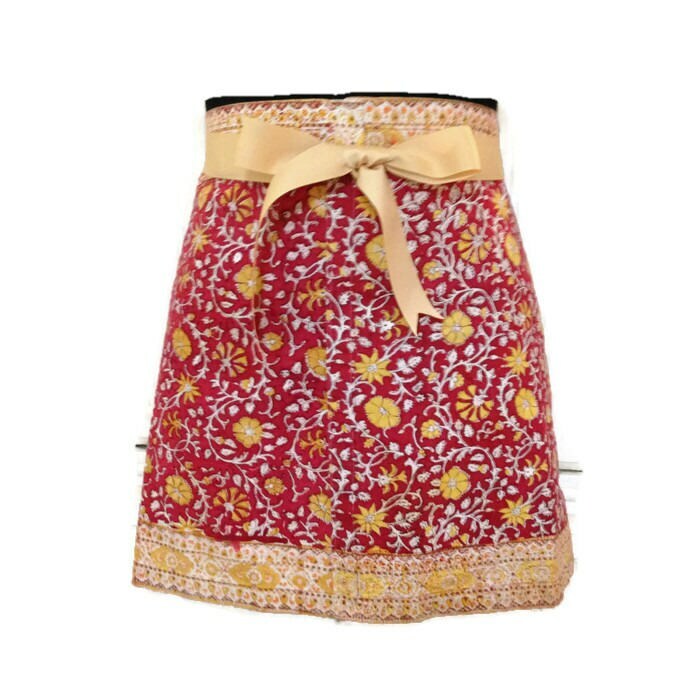 Comfortable and easy fitting thus us a sturdy half apron you will love to wear. The ribbon ties are soft but sturdy and wash beautifully with no ironing needed. 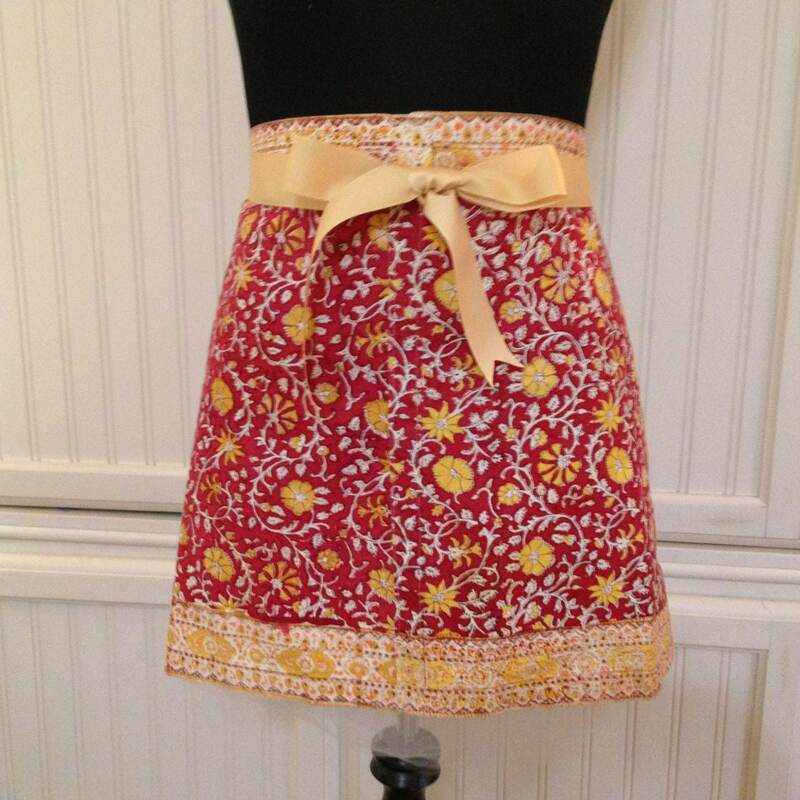 This apron is sturdy but beautiful cotton. To keep the colors vibrant I recommend cold water wash on gentle.